Florian Jozefzoon's late strike saw Derby inflict a fourth successive defeat on struggling Hull as Frank Lampard's Rams claimed a 2-1 Sky Bet Championship win. Martyn Waghorn scored from the penalty spot in the 23rd minute after David Nugent was brought down by Jordy de Wijs to give Derby a well-deserved lead before Todd Kane equalised against the run of play for Hull. 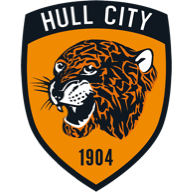 Jozefzoon's deflected shot beat David Marshall in the Hull goal with just two minutes left on the clock to pile the pressure on Tigers boss Nigel Adkins. 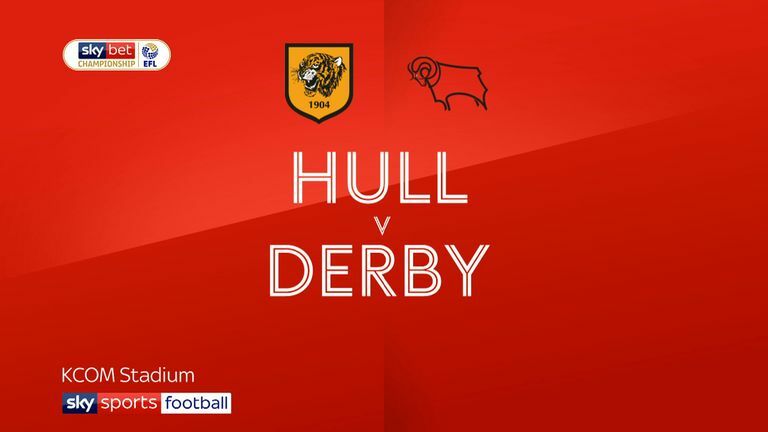 Derby claimed a 4-0 victory over the same opponents in the Carabao Cup on Tuesday and Kane, one of only two Hull players to retain their place, saw his shot beaten away as Hull started well. 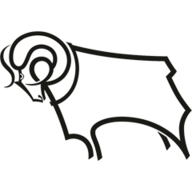 Mason Mount was wide with a free-kick as Derby finally threatened 12 minutes in. Both managers were complaining when Waghorn fell in the Hull penalty area, with Lampard imploring referee John Brooks to award a spot-kick and Adkins complaining about a possible dive by the striker, who appeared to collide with a home defender. Derby were awarded a penalty when De Wijs felled Nugent and Waghorn sent Marshall the wrong way after 22 minutes. Fraizer Campbell curled a low shot wide as the home side toiled hard but failed to penetrate the Rams' defence. Fikayo Tomori blocked another shot from Campbell at the expense of a corner before also shutting out Markus Henriksen. Marshall got down low to his right to push away Mount's shot as the on-loan Chelsea midfielder continued to shine. Hull cleared for a corner and Mount's delivery was met by Nugent whose near-post header landed on top of the crossbar. Henriksen should done better in added time when Campbell stepped over a low ball from Evandro but the Hull captain shot well over from the edge of the area. Nugent fired over after being sent through before Jarrod Bowen shot into the side netting in a lively start to the second half. Hull were level seven minutes in when Campbell curled through a low pass and Kane won the foot race with Andre Wisdom to curl a shot wide of Scott Carson. Evandro saw his shot deflected wide as Hull pressed for a second goal and Carson beat away a shot from Henriksen as Hull again looked to profit on the break. The home side looked good value for a point but were sunk by Jozefzoon, whose late winner added to his two on Tuesday. As Hull failed to clear a Derby attack, Jozefzoon pounced to put the ball beyond Marshall in a crowded area with two minutes to go. Nigel Adkins: "I thought we were very good today. I talked on Tuesday night about what a good side they were. Today I thought technically we were spot-on. "The second half in particular we had numerous opportunities but unfortunately we did not take them." Frank Lampard: "It was a tough game, the second half was very tough. That's the Championship. Full credit to Hull. They will feel they deserved a draw. "We showed great character. We were under pressure at times, particularly in the second half."